Mallory Mort grew up on a small farm in Pennsylvania and later studied animal production at Penn State University. Upon graduating, Mallory worked in the horse program at his alma mater. A few years later, as someone with experience raising both cattle and horses, Mallory was offered a position at Gallagher’s Stud in 1979–and has continued working there ever since. 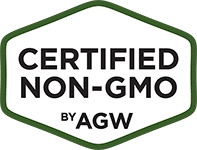 Today, he raises Certified Grassfed by AGW beef cattle on 550 acres of pasture at Gallagher’s Stud in Ghent, New York, with the help of Marlene Brody, friend and farm owner. 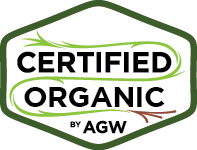 Gallagher’s Stud’s Certified Grassfed by AGW beef is sold directly to nearby Certified Animal Welfare Approved by AGW Grazin Angus Acres farm for use at the Grazin’ restaurants in Tribeca and Hudson, which uses only Certified Animal Welfare Approved by AGW meat, eggs, and dairy ingredients. For more information about Gallagher’s Stud, contact Mallory at mal@gallaghersstud.com or (518) 392-4110. 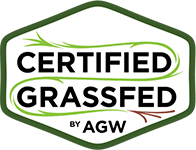 For more information about Grazin’ restaurant, visit www.grazinburger.com. 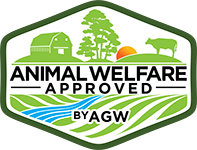 Animal Welfare Approved has an annual tradition of thanking the family farmers who work so hard, year in and year out, to produce healthy, safe, humane and environmentally responsible food for our communities. Farming is not an easy job, and we want to encourage AWA friends and followers to take this opportunity to appreciate farmers you know for their contribution to this harvest holiday of Thanksgiving, and throughout the year. Please take this opportunity, by including a comment below, to share your appreciation for the farmers in your life. You may also comment via Facebook and Twitter (#ThankAWAfarmers). If you are a farmer, tell us about fellow farmer or mentor who has influenced your development or has helped you along the way. Thank you for sharing, and for supporting pasture-based farming this holiday season!